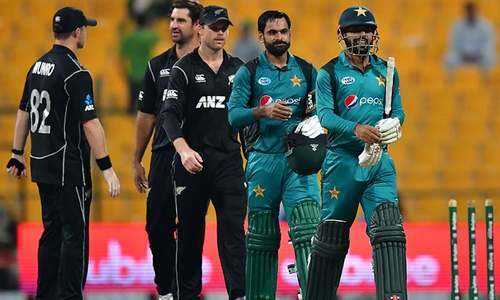 After 12 consecutive defeats to New Zealand in the 50-over format (yes you read that right), Pakistan finally managed to snap the unenviable streak. India may want to think of themselves as Pakistan’s boogeyteam but looking at the Kiwis’ run coupled with their head-to-head record that is fast heading towards parity, maybe the side from down under is the one that actually has the Men in Green’s number. To end their dozen-game drought, Pakistan had to give a near flawless performance on Friday. Bowlers picked up wickets, fielders took their chances and batsmen scored runs. No door was kept ajar for NZ to mount a comeback, which eventually reaped the sought-after win. Australia’s World Cup success over the years means administrators in Pakistan, and even around the world, often find themselves trying to replicate the Cricket Australia model. Prime Minister Imran Khan, too, is a known admirer of the Aussie practices. One thing the Aussies are not really fond of is giving early exposure to teeanage cricketers — especially fast bowlers – with their thought process being that bodies and minds should be fully mature for pace bowling. 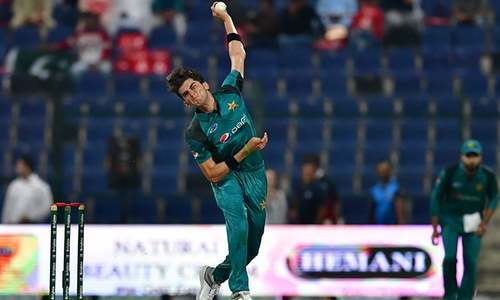 Shaheen Shah Afridi is the latest in a long line of precoious Pakistani pacers who completely debunk the Aussie way of thinking. The 18-year-old southpaw took his second straight four-for of the series and was deservedly named the man of the match. 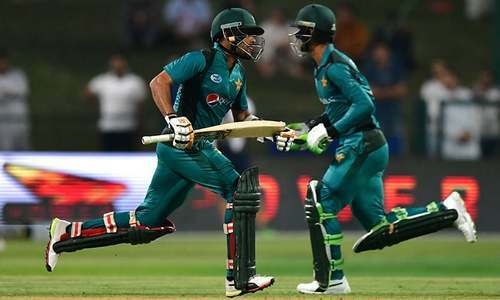 The innings’ other impressive bowler was an almost equally young Shadab Khan, who gave away just 25 runs in his 10 overs. While the younguns deserve credit, so does the wily old fox Mohammad Hafeez. Afer what he’s been through and what transpired the other day, the Professor could have easily folded. Yet, he remained unfazed and bowled an excellent line that the Kiwis struggled against one more. Hafeez finished with figures of 31-1 and was instrumental in restricting the away side to a lowly total. The only thing missing from his performance was him not dismissing Ross Taylor, his new antagonist. There are two faces of Pakistani’s 50-over batting: one for small targets and the other for targets in excess of 250. In the opening ODI, when given 267 to chase, the ugly face showed up. Everything that could have gone wrong, went wrong and Pakistan swiftly were 8-3. And when the targets are around the 200-run mark, it’s the turn of the graceful, tension-free face to make an appearance, which was the case in the second ODI. Hence, Sarfraz Ahmed’s men were an astounding 155-0 at one point in this one and could have even chased 300. This again goes on to prove how so many of Pakistan team’s problems are psychological rather than technical. Junaid Khan has to be the unluckiest cricketer ever to put on the Pakistan shirt. If he is not being overlooked by the selectors or the management, he picks up untimely injuries. In Asia Cup, after being consigned to the bench for much of the tournament, when he was given a chance he cleaned up four Bangladesh batsmen. He was then not picked for the entire Aussie series or the NZ T20Is. It means that during the six months between July 2018 and January 2019, he would have played just two ODIs. At 28, a pacer is supposed to be at the peak of his powers. For Junaid to play so little at this age is unfortunate, to the say least.